Sherrie joined Phillips Financial in 2017 as an Operations Assistant. She brings with her over 30 years of combined experience in customer service, HR, and administrative assistance. Sherrie supports our Financial Planners by managing the administrative processes for clients, new accounts set-up and tracking investment fund transfers, as well as maintaining compliance records. 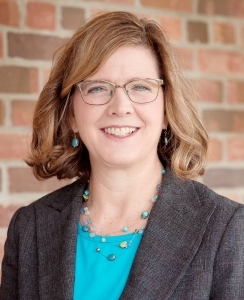 Sherrie has fully embraced the Phillips Financial Careful Conversations process in financial and investment planning and has made a commitment to providing exceptional client service. A personal family connection led Sherrie to spend many years volunteering with the Fort Wayne Muscular Dystrophy Association. Sherrie and her husband, Don live in Fort Wayne and have two sons, Chad and Sean, and a sheltie named Rambo. Sherrie enjoys staying active by jogging, bicycling, and playing golf; and she also likes to read, cook/bake, attend Broadway shows, and spend time with family and friends. They are members of Aboite Lutheran Church.